Maleki, A. (2016). Efficient Synthesis of 2, 3-Dihydroquinazolin-4(1H)-ones in the Presence of Ferrite/Chitosan as a Green and Reusable Nanocatalyst. 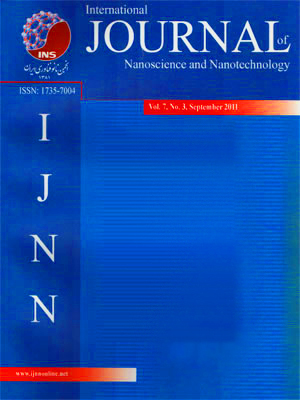 International Journal of Nanoscience and Nanotechnology, 12(4), 215-222. A. Maleki. "Efficient Synthesis of 2, 3-Dihydroquinazolin-4(1H)-ones in the Presence of Ferrite/Chitosan as a Green and Reusable Nanocatalyst". International Journal of Nanoscience and Nanotechnology, 12, 4, 2016, 215-222. Maleki, A. (2016). 'Efficient Synthesis of 2, 3-Dihydroquinazolin-4(1H)-ones in the Presence of Ferrite/Chitosan as a Green and Reusable Nanocatalyst', International Journal of Nanoscience and Nanotechnology, 12(4), pp. 215-222. Maleki, A. Efficient Synthesis of 2, 3-Dihydroquinazolin-4(1H)-ones in the Presence of Ferrite/Chitosan as a Green and Reusable Nanocatalyst. International Journal of Nanoscience and Nanotechnology, 2016; 12(4): 215-222.